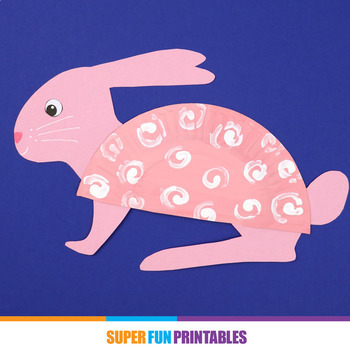 Create a cute bunny for Spring or Easter using this printable template and half a paper plate (side plate size 18.5cm/7"). 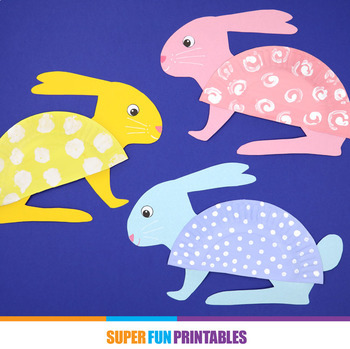 This printable craft would make an eye-catching bulletin board display and is a good way to get kids practicing their scissor and fine motor skills. 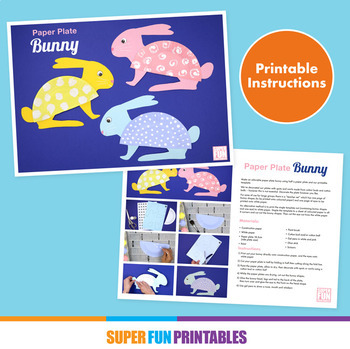 It also involves making patterns on the paper plate using cotton buds (Q-tips) and/or cotton balls – however this is optional, the paper plate can be decorated however you like. 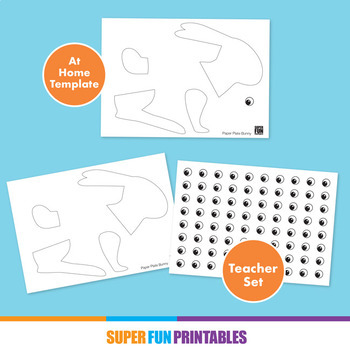 The template is supplied both all on one page, perfect for crafting at home, or as a teacher set (one page of bunny shapes to be printed directly to coloured paper, plus one page of eyes to be printed to white paper). It is also supplied in both A4 size and US letter size.